Lately, life has just been a bit more chaotic than usual. I’m not going to bore you with all the details, so let me just say it has involved never-ending baby colds and interrupted sleep. But we’ve got this, it’s just a phase, like so many others. 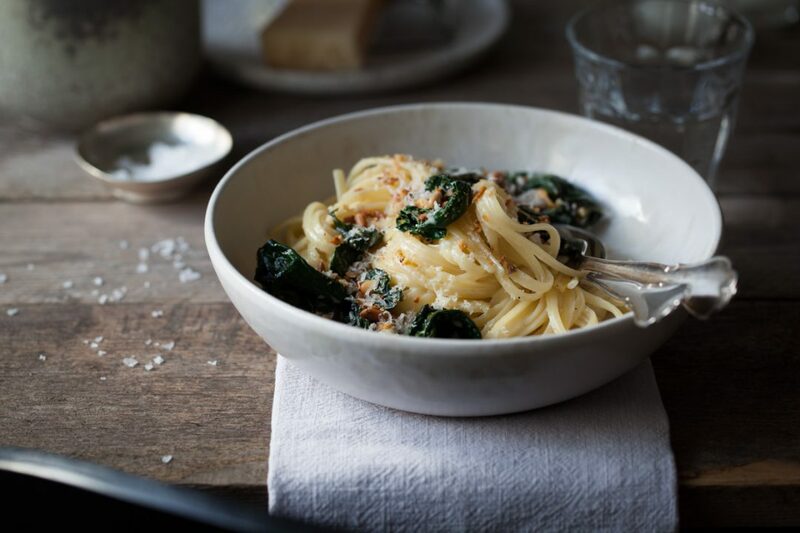 And in such phases we choose to focus on enjoying simple but truly delicious meals, like the one I’m sharing today; A simple pasta dish tossed in a creamy sauce, with preserved lemons and cavolo nero. It’s been on repeat for the past few weeks, substituting the cavolo nero with whatever seasonal green we have on hand; savoy kale, cabbage, and spinach, to name a few. And then there’s the preserved lemons; An ingredient I randomly came across four years ago in Marrakesh, and as with many other "exotic ingredients", such as dukkah, sumak, and rose water, I’ve been completely captivated by it’s flavour and multitude of properties. 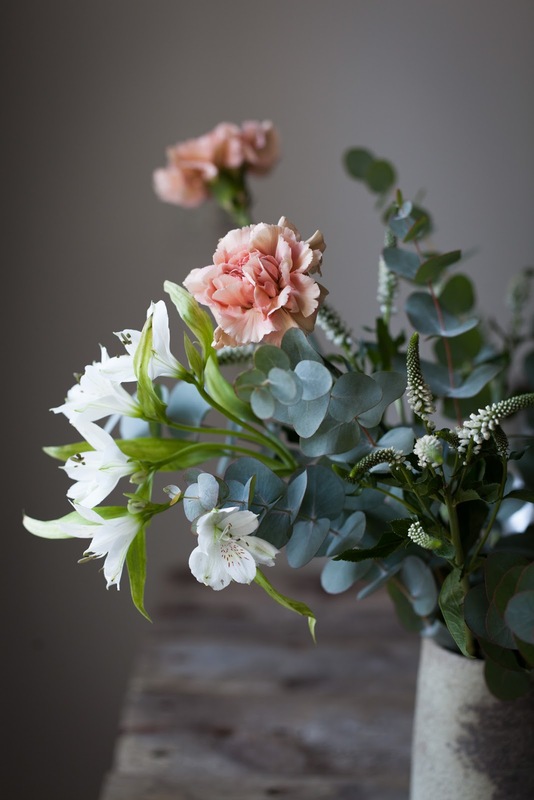 However, it wasn’t until the beginning of this past December – in the middle of the aforementioned unusually chaotic everyday – I had a few leftover lemons. And you know what they say, when life give you lemons...preserve them! So I did, and waited three weeks until they were ready to use. Waiting has never been my strong suit but these are worth the wait, and now I can’t imagine my pantry without them! They go well into stews, salads, pasta dishes, and basically every dish that would benefit from acid and salt. The opportunities are endless, I tell you. 1. Start by roasting the pine nuts in a big pan until golden brown. Set aside to cool. Crush lightly in a mortar or chop finely, if you prefer. 2. 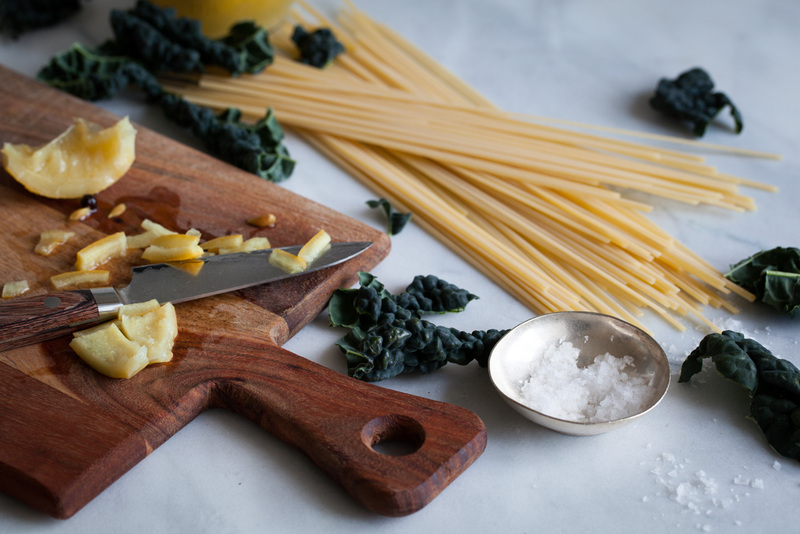 Prepare the cavolo nero by removing the rough stem and tearing apart the kale into smaller pieces. 3. Bring a big pot of salty water to a boil. Cook the pasta according to the package instructions (and keep a tiny bit of pasta water for step 5!). 4. While the water for the pasta is heating reheat the pan you just roasted the pine nuts in to medium-low heat. Add in the olive oil, garlic, and preserved lemon peel (no lemon flesh, please). Let it roast for a minute and give it a stir before you add the cavolo nero and 1 tablespoon lemon juice. Stir and cover with a lid or foil and let it roast, covered for a minute or two until the cavolo nero wilts. Turn the heat off. 5. To make the pasta sauce place the butter, cream, and 1 tablespoon lemon juice in a small pan and bring to a bare simmer. Add a tablespoon of the pasta cooking water. Whisk until combined. Taste with salt and pepper, and turn off the heat. 6. Once the pasta is al dente, drain the pasta and return it to the big pot. 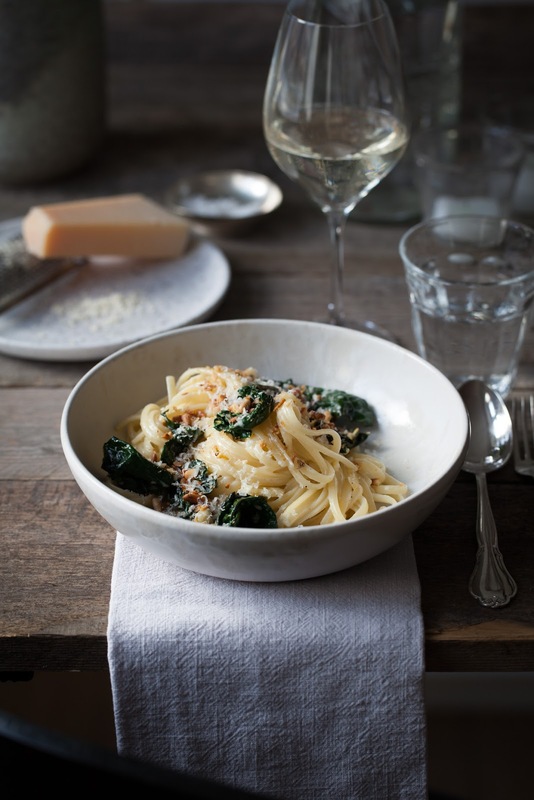 Toss immediately with the sauce and cavolo nero. Let it sit for a minute for the pasta to absorb the sauce. 7. 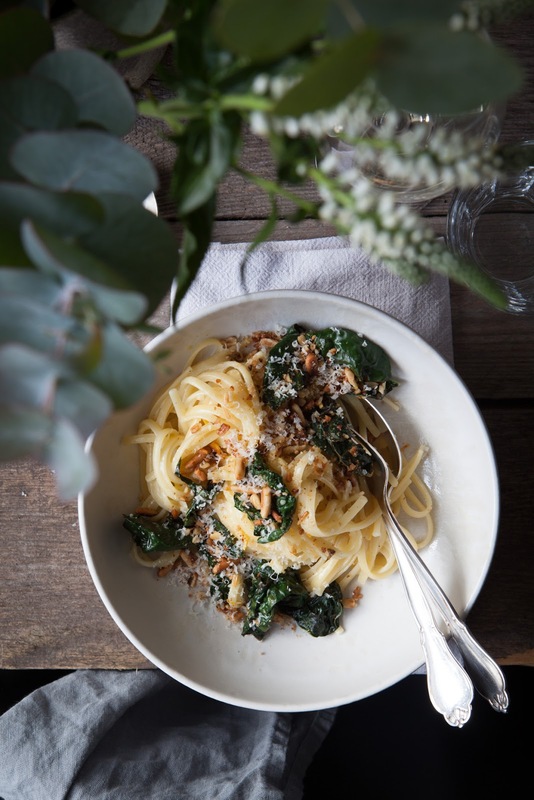 Arrange the pasta on 2-4 plates and serve topped with roasted pine nuts and freshly grated Parmigiano-Reggiano.